Having a laptop bag is mandatory if you want to carry this piece of tech with you anywhere you go. But, with so many great options available on the market, what should you choose? We have gathered some of the popular products for sale right now so you can get your inspiration from our choices. If you wish to look for some new and cool bookbags yourself, you should consider the product’s fabric choice, handles, size, and design. This product is available in four different colors and is made of 100% organic and eco-friendly cotton canvas on the exterior. 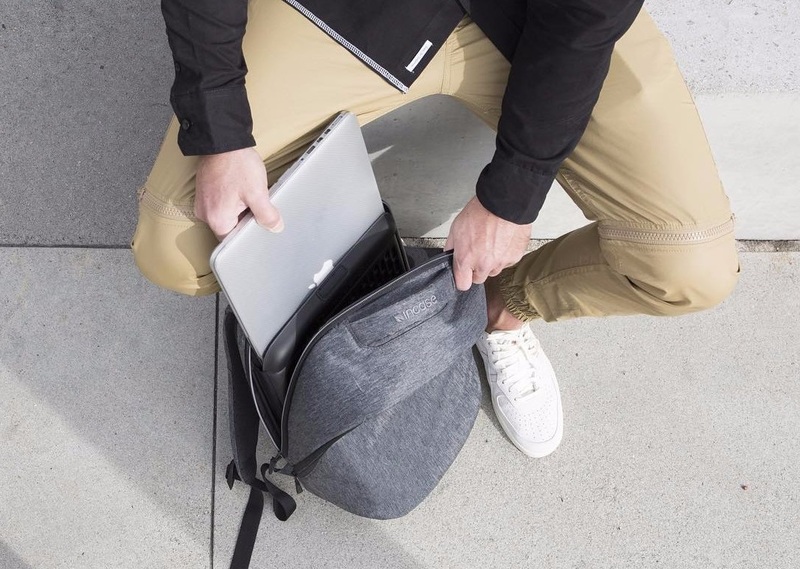 It is perfect for laptops up to 17.3 inches, so you can rest assured you’ll have enough space inside to carry your tech piece in style and safely. The inside features a padded computer compartment to keep your product safe from shocks and accidents, as well as a removable ID holder. The padded shoulder strap and the rubberized handle will allow you to comfortably carry your item the entire day without suffering from hand fatigue or arm pains. If you’re looking for a classic and elegant laptop case, the popular brand Samsonite has you covered. The item is made of 1680 den ballistic canvas that is strong and reliable. It is the same material used by the Federal Government for military purposes, so you can rest assured it will resist shocks and tearing. The removable shoulder strap is padded to provide more comfort and the handles feature a rubber coat to prevent slipping and ensure a good grip. Inside the bag, you’ll have a padded laptop compartment and enough room left to store all your essentials, including your wallet, phone, and keys. In need of a timeless and elegant laptop case? This product from Solo is made of premium-quality full grain leather that will resist even the harshest weather conditions without chipping, breaking or tearing. The inside offers a divided file compartment and a removable sleeve that can accommodate laptops up to 15.6 inches. The exterior features a front zippered compartment to store all your essentials, as well as a flap closure mesh pocket. The telescopic handle and edged wheels allow you to effortlessly carry the bag with you the entire day without hurting your back, hands or shoulders and spoiling your suit. If you’re looking for some cool new teen gifts, this laptop bag is both affordable and useful. It is made of high-density reinforced cotton canvas to keep your laptop protected from shocks and accidents, as well as harsh weather conditions. The product is specifically designed to fit Apple’s MacBook Air laptops of up to 13 inches, meaning the case is small and extremely lightweight. The front padded slip pocket will protect your iPad or other small tablets so you can take with you all your favorite pieces of technology. It is also big enough to store a notebook, a book, pen, and other essentials. This laptop bag is available in four vibrant colors, so make sure to pick the one that best matches your personality or the rest of your outfit. It is designed to fit most 15-inch laptops and it is extremely lightweight. It comes with reinforced handles for a comfortable grip that reduces hand fatigue when carrying the bag for many hours. The handles also prevent hands from getting too sweaty. The adjustable comfortable shoulder strap allows you to wear the bag in many ways to prevent back or shoulder aches. Moreover, the interior is roomy enough to not only store your laptop but also your papers, pens, and essentials. If you’ve come here to find one of the coolest book bags for laptops available for sale these days, you’ve ended up in the perfect place. We’ve gone through a plethora of consumer reports to see which models are critically acclaimed and why they are so. Your laptop is one of the most important electronics you get to use on a regular basis. Whether you utilize it for homework or work, the fact of the matter is that it is one of those devices that are employed frequently in comparison to your e-reader, tablet, or even your TV. Some students carry it to school every day and depending on the class, they use it to take notes. Others go to their friends’ homes and organize gaming sessions. Whether you are one type of user or the other, it’s very likely that your laptop needs to take a trip at some point or the other. In fact, that is the whole idea of owning and using a laptop, because otherwise, you’d rely on your good old desktop computer. These book bags are made so as to allow you to carry your laptop both conveniently and efficiently. Read on to find out more about the topic and how you can select a good-quality product that you can use time and again. Given that laptops aren’t particularly affordable, you need to ensure that you are keeping it safe and in one piece at all times. Therefore, one of your purposes should be to acquire a book bag or a backpack that enables you to store and carry your laptop so as to increase its life. Check out our buyer’s guide to find out how you can get a bag that’s made for you. All of the best laptop bags reviews suggest getting a model that’s capable of holding your laptop snugly. Prospective buyers have to understand that the padding also matters, in that it should be capable of offering adequate protection. Fortunately, there is an easy way of getting the right size of bag for your particular laptop. Look at the size of your screen display and then check the specs of the product you want to spend your cents on. It’s safe to say that a 10-inch laptop won’t be a great fit for a bag that has been designed for laptops with displays that measure about 18 inches and the other way around. Your logic might tell you that, if the laptop is smaller, it might work just great in a bigger bag. In actuality, such a product is incapable of offering correct protection as the laptop would slip and ‘dance around’ in your bag. A laptop isn’t a tomahawk, which is to say that it isn’t as rugged so as to last for a good deal of time without requiring proper maintenance in this sense. Any harsh impact can damage its looks, but also its inner structure, which means that the device can become unusable solely by lack of care. Any of the cool laptop book bags you might be interested in purchasing should be able to ensure two things. One of them is transportation, but the other is protection. It stands to reason that the materials that the product has been made from matter a great deal, and that’s because some could be too thin or the structures might not be padded, which is why they might fail to accommodate your laptop appropriately. Something else that you should look at is whether the book bag you’re thinking of getting comes with a waterproof design and is made from weather-resistant fabrics. This detail is crucial for folks who live in Seattle, for instance, and we all know how often it can rain in some parts of the United States. We’ve already addressed the matter of dimensions and why they should be a paramount factor when you ultimately make your decision. We haven’t tackled the issue of weight, however, and it deals a lot with usability and the way that you’re going to feel while wearing the book bag. In fact, there are two ways of going about things in this sense. One of them is to choose a bag in the traditional sense of the word, and the other is to select a backpack. With backpacks, it’s sometimes easier to get the right size. Of all the fabrics that the product can be constructed of, neoprene seems to be the lightest. The neat thing about it is that it is waterproof, so it combines two endeavors. While some models are made out of leather, and they might look nice, they could be less user-friendly compared to their neoprene counterparts given that they weigh more. Perhaps you should try to assess the amount of time that you spend with your backpack on your shoulders to understand whether you need it to be super lightweight or not. If you’re strictly utilizing it to protect your laptop while you are commuting or driving, then you can forget about worrying about this detail. Last, but not least, you should try to understand whether the looks of the book bag really matter all that much for you. Some people are focused on getting a practical thing while others are mostly interested in combining an attractive style with a functional design. It’s not like you can’t have one without the other. Nonetheless, we do feel the need to add that you needn’t only focus on the way that the book looks, whether it’s the coolest one you’ve seen or not. Look at whether the fastenings are secure or not and whether or not the product offers enough space for both your device and various belongings such as pens, paper clips, tissues, a mouse, chargers, or anything else you might need.